Want to be more resilient? Try being more grateful. In 1863 when Abraham Lincoln made Thanksgiving a federal holiday during a brutal war, he was onto something. The country was split, and both sides had suffered huge losses. While many on either side probably didn’t feel like giving thanks, maybe a day set aside to be grateful was just what the country needed. Fast forward over 150 years later when research tells us that regular gratitude can improve relationships, improve our mental health, and possibly even improve our physical health. Lincoln may not have had scientific proof, but he seemed to instinctively know that gratitude is most important when things look bleak. Whether you’re going through a hard time right now, have just come through one or are just headed into one, practicing gratitude regularly (not just one day a year) can give you the tools to be more resilient no matter what life throws your way. Seeing the big picture can help you get through adversity, but that can be easier said than done. Pausing and reflecting on all you have to be grateful for can train your brain to be aware of the positive in your life, according to Ali O’Grady, founder of Thoughtful Human, a company that sells card series for people dealing with cancer, loss, or even becoming a parent. Gratitude doesn’t always come easily when you’re going through hardship. The key, though, is patience. 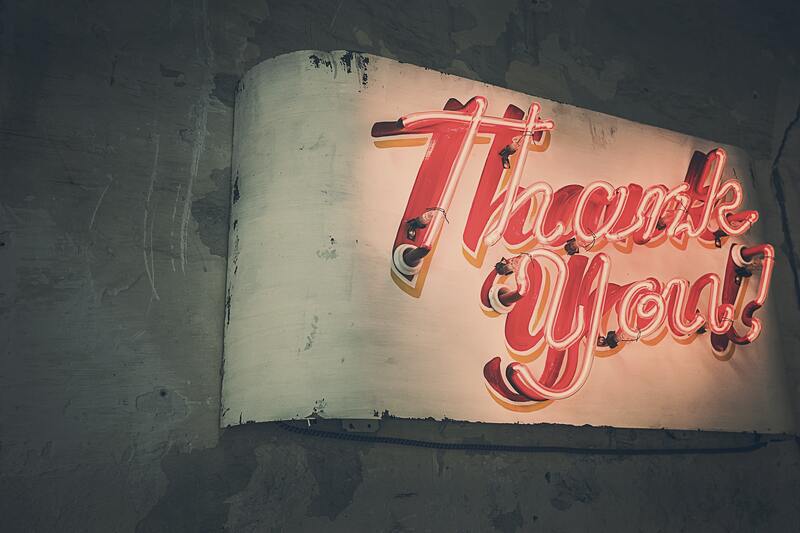 The actual act of expressing gratitude can improve your quality of life and wellbeing. A 2017 study published in the Journal of Clinical Psychology backs Nico up on this. It looked at the benefits of a gratitude journal as well as verbally expressing gratitude to friends and family. Participants who practiced journaling their gratitude improved their mental health, and those that expressed their gratitude verbally had the most improvement overall. Exercise and diet aren’t the only ways to improve our physical health. A gratitude mindset can also be key to a healthy body. By turning your attention to the good in your life, you may actually be improving your health, according to Melissa Deuter MD, owner and founder of Sigma Mental Health Urgent Care and author of Stuck in the Sick Role: How Illness Becomes an Identity. One such study researching the effects of gratitude on health published in Psychosomatic Medicine showed that while depression was associated with higher levels of inflammation and cardiovascular strain, gratitude was associated with better cardiovascular function. More research still needs to be done on the topic, but there is evidence that focusing on what we have to be grateful for can help our bodies be healthier. It can improve your willpower. Willpower is what helps many push through to success. It’s what helps you evaluate short term failure or even success from a long-term perspective, and it turns out that gratitude may play a role in that as well. This kind of brain training can help you make better decisions, be more confident, and keep taking the right actions – even when success seems like it’s a long way off. Whitney is a 3 time open heart surgery warrior (all by the age of 16), and gratitude has been an important part of dealing with the trauma those surgeries entailed. She is also the founder of The Mission Maven, a boutique consulting firm to help digital health companies break through the noise.